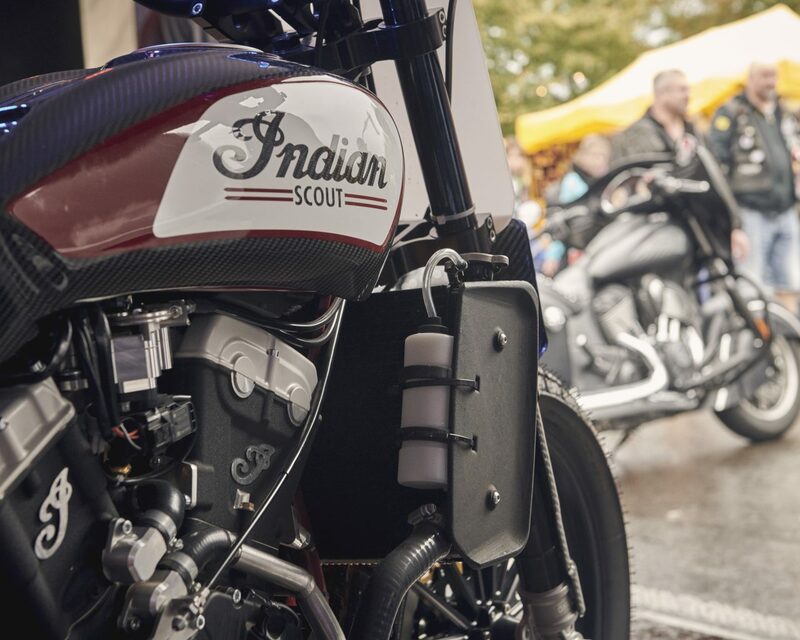 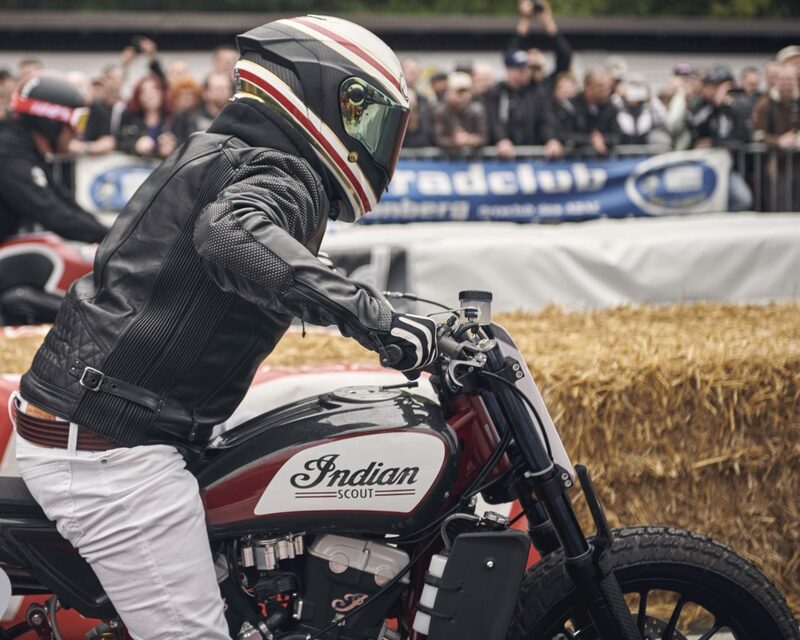 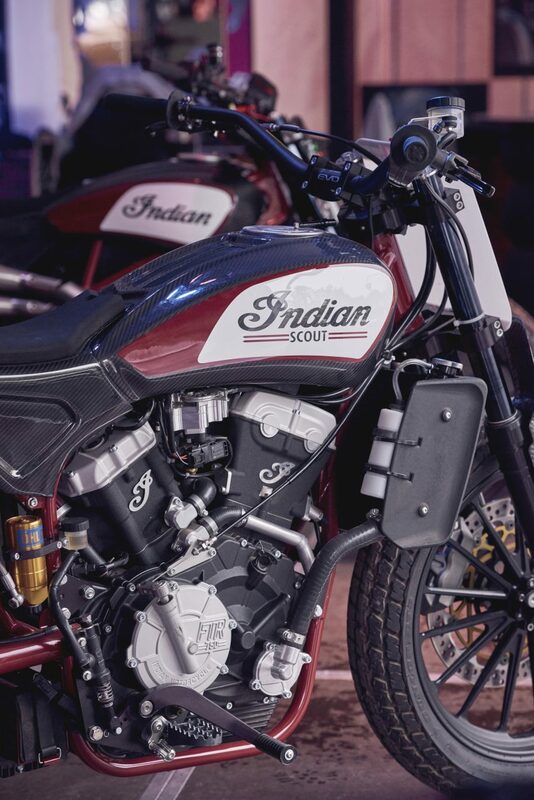 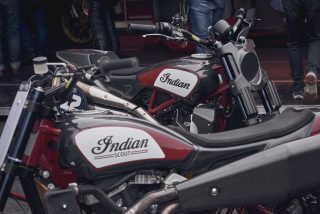 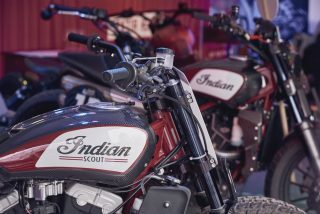 GERMANY – Indian Motorcycle provided a spectacular show for the 40,000 visitors to the Glemseck 101 bike festival last weekend. 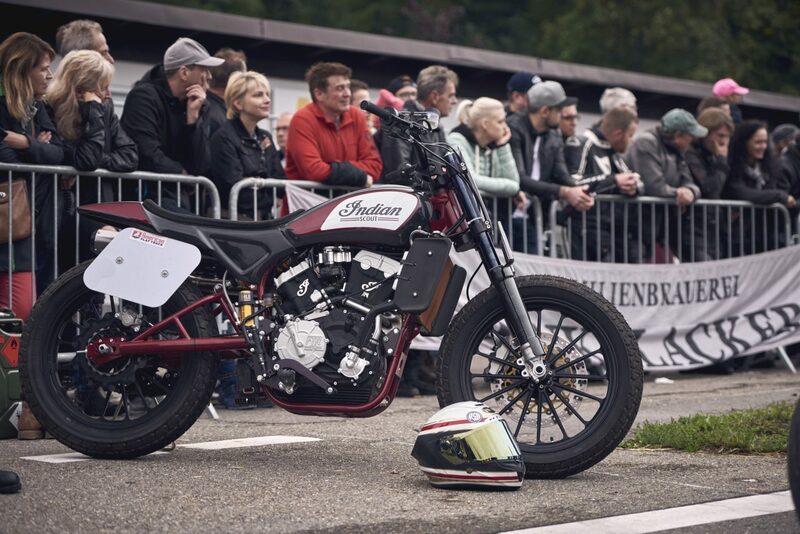 For the first time ever, the FTR750 and FTR1200 Custom both competed in sprint racing together in Germany, heightening anticipation of the production FTR 1200 due in 2019. 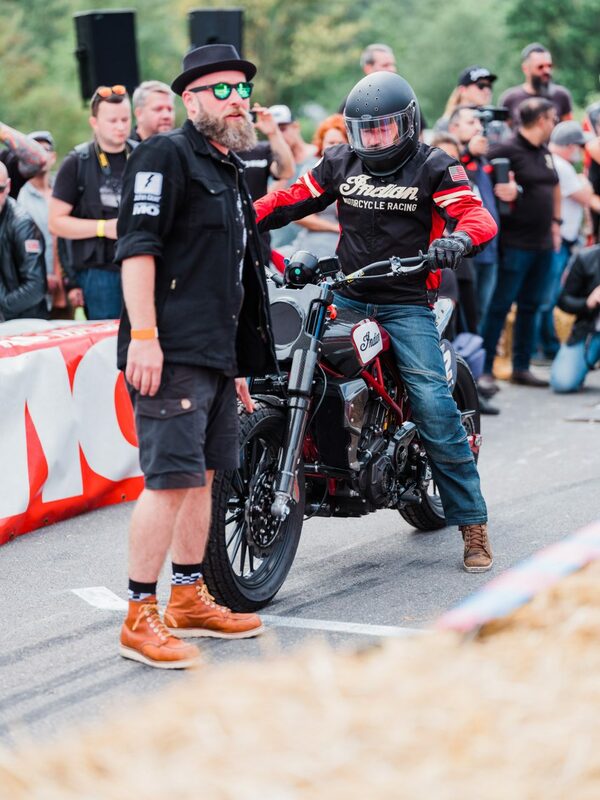 US star designer Roland Sands piloted the FTR750 and was joined by Indian Motorcycle designer Ola Stenegärd to meet and talk with the fans. 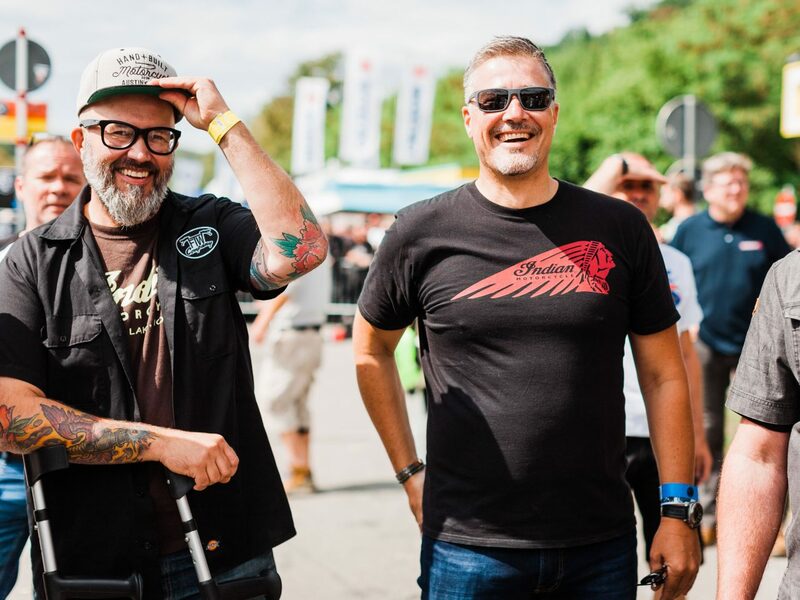 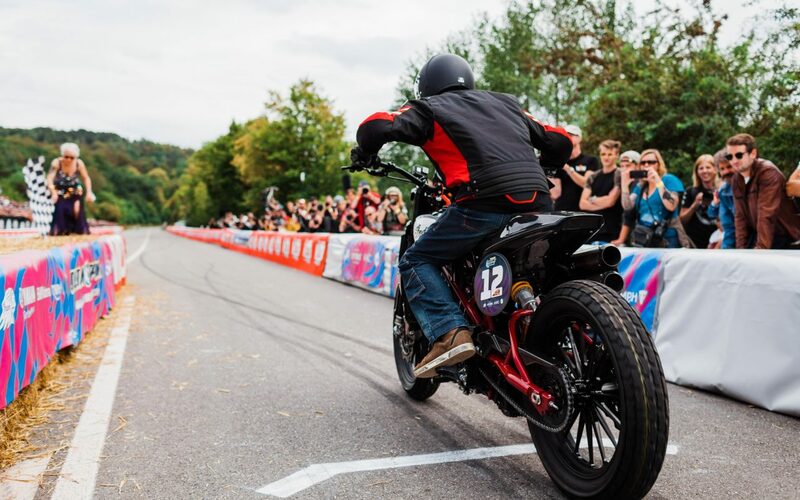 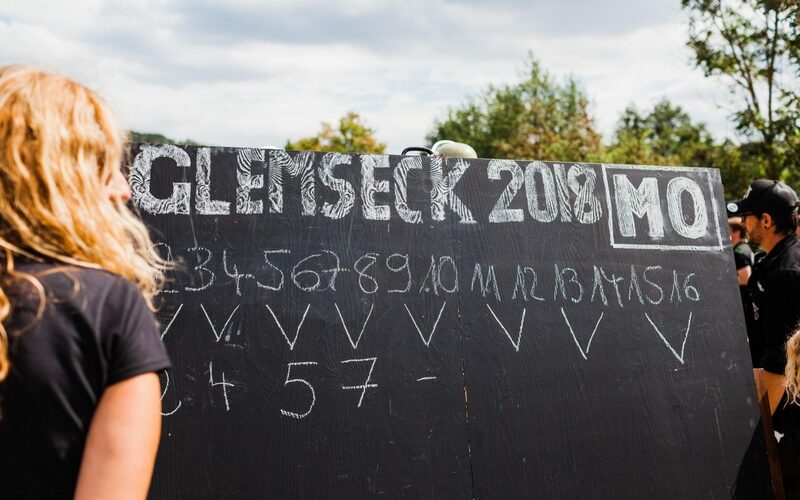 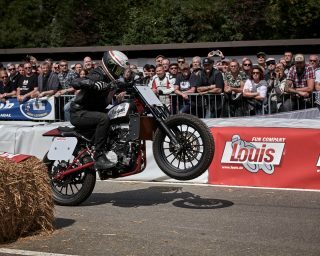 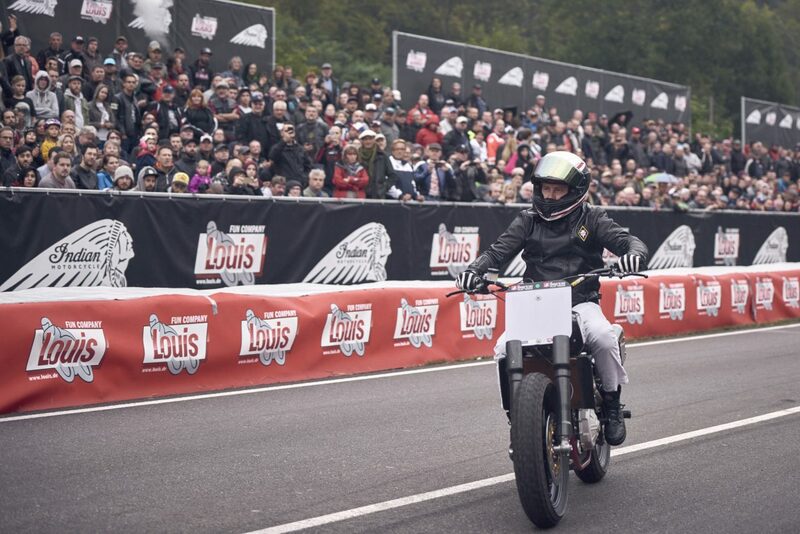 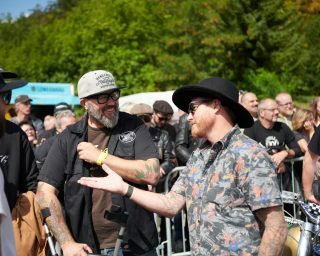 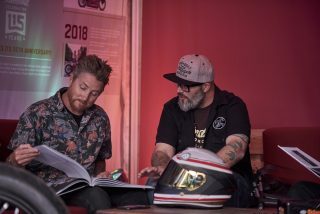 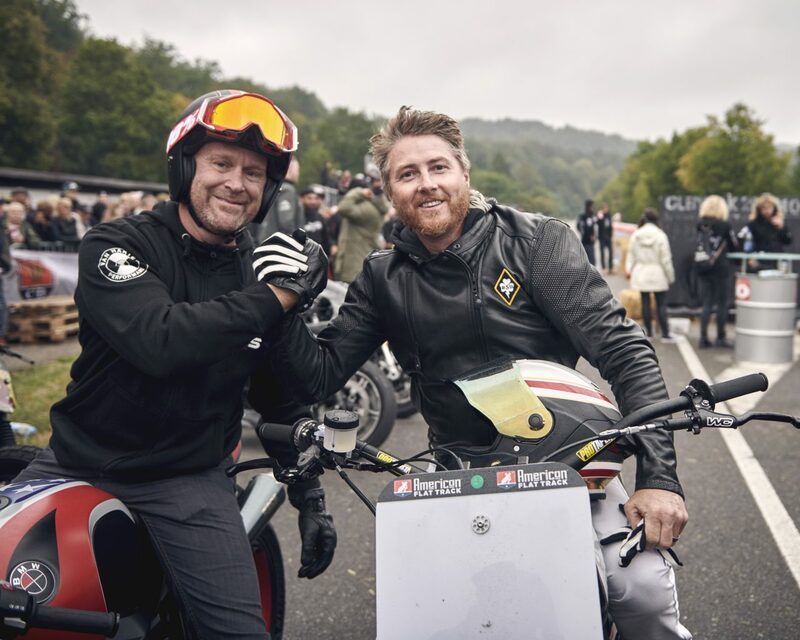 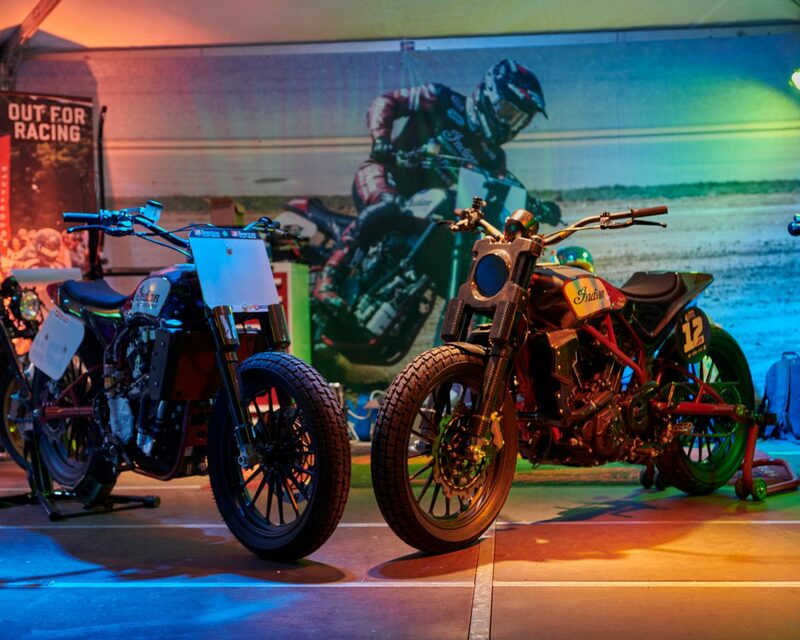 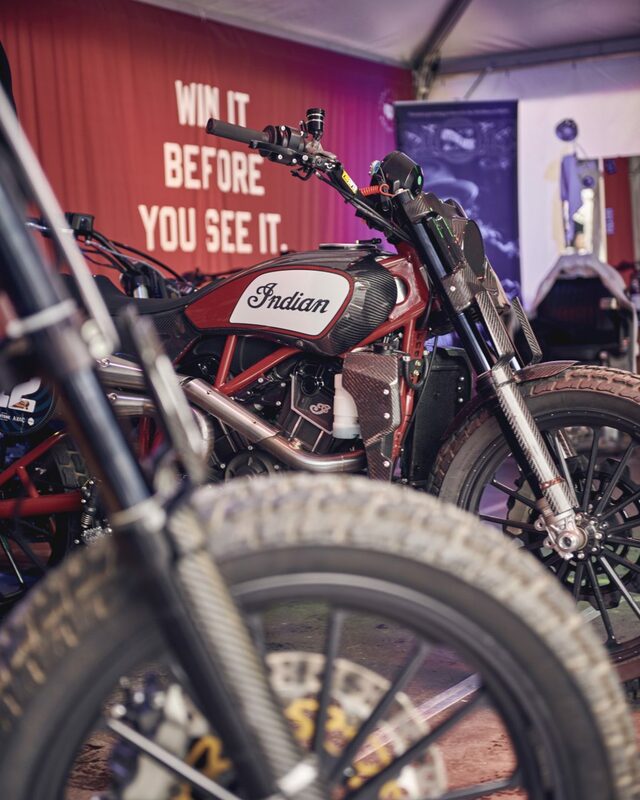 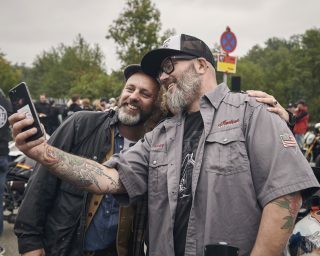 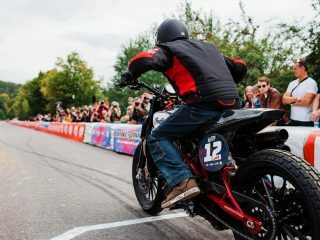 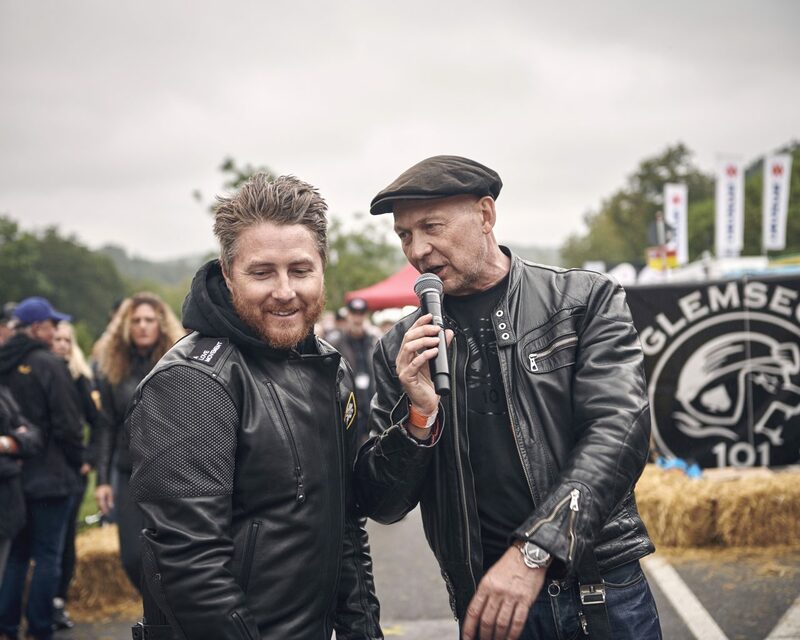 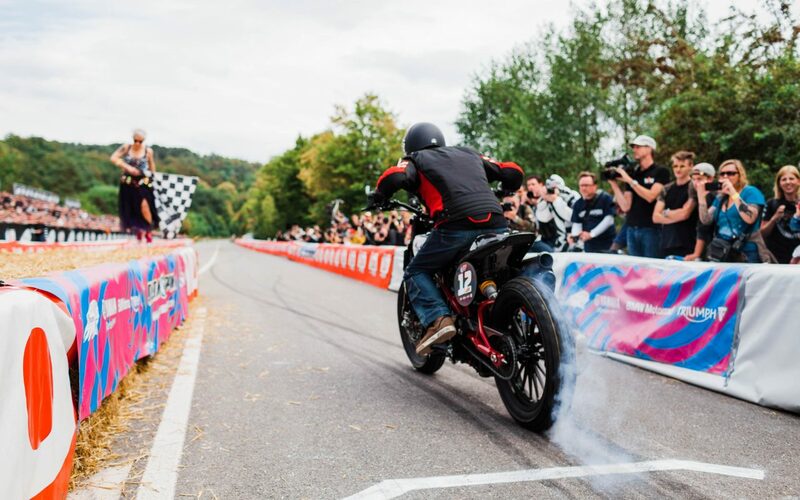 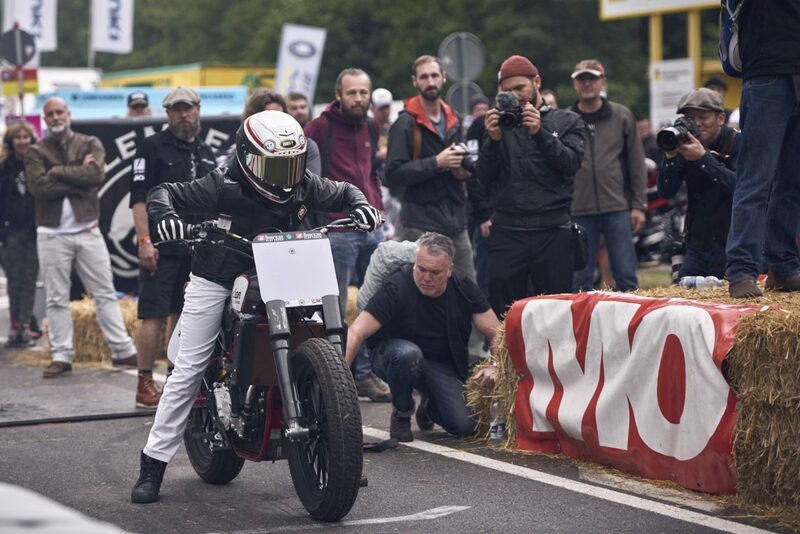 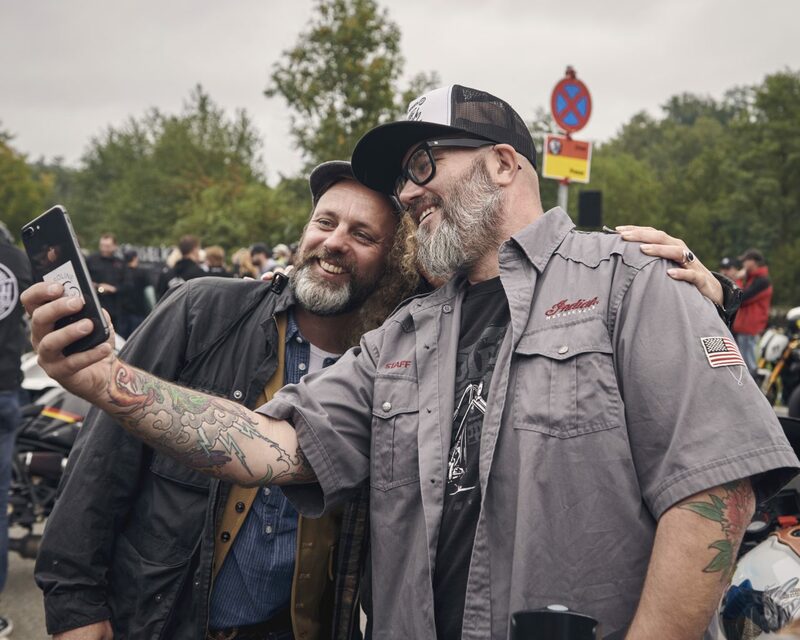 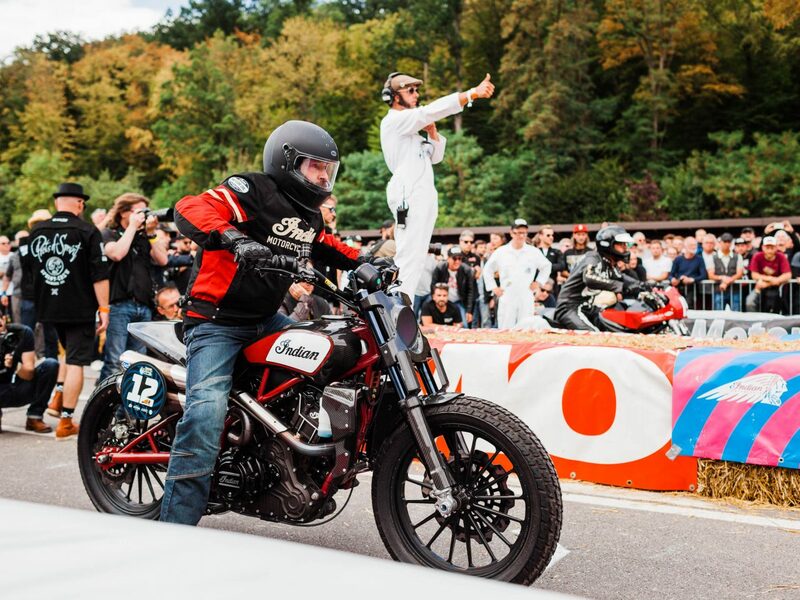 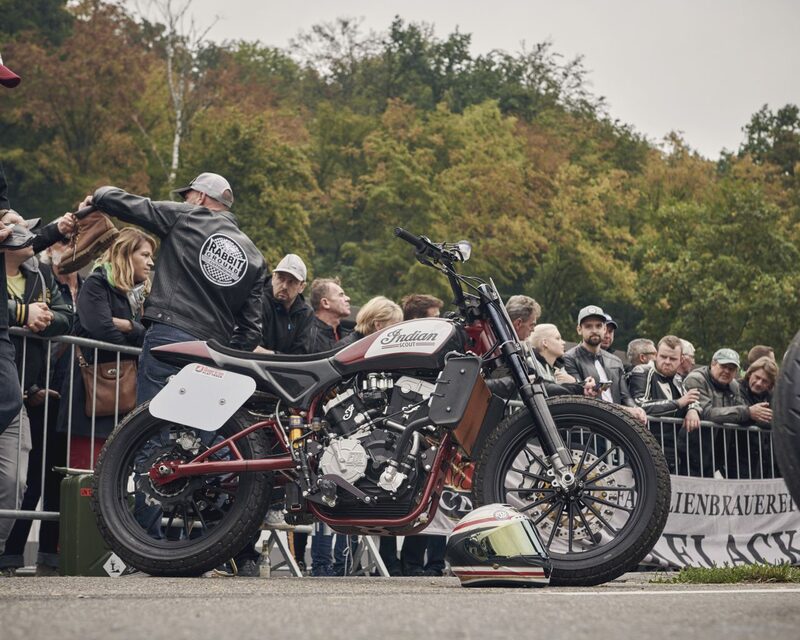 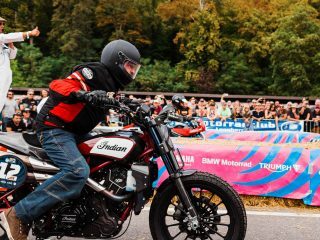 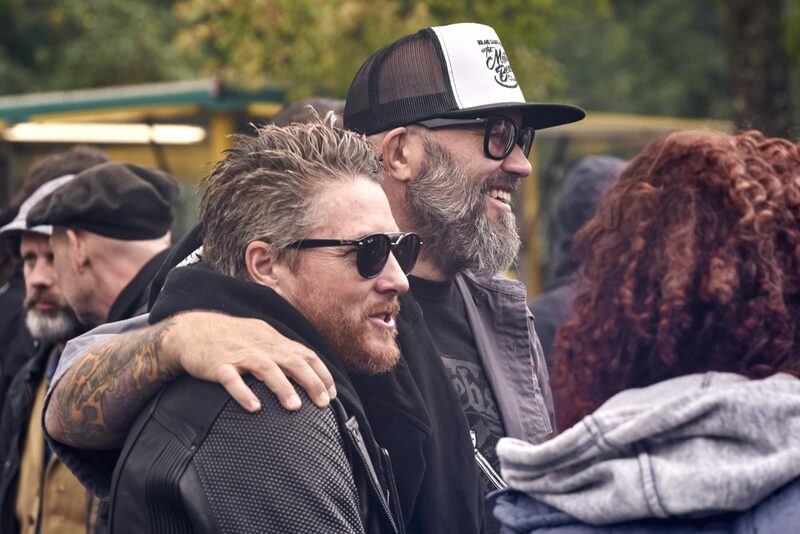 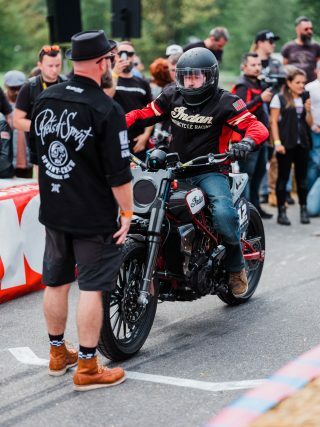 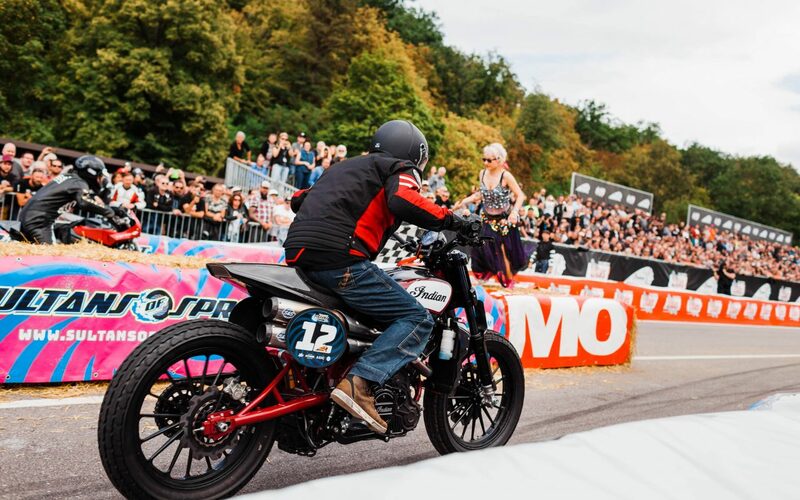 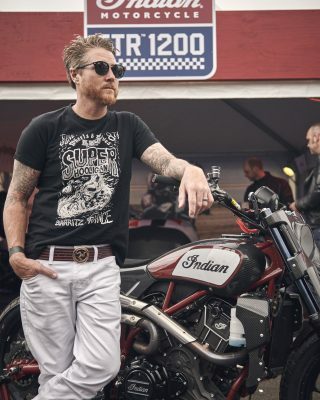 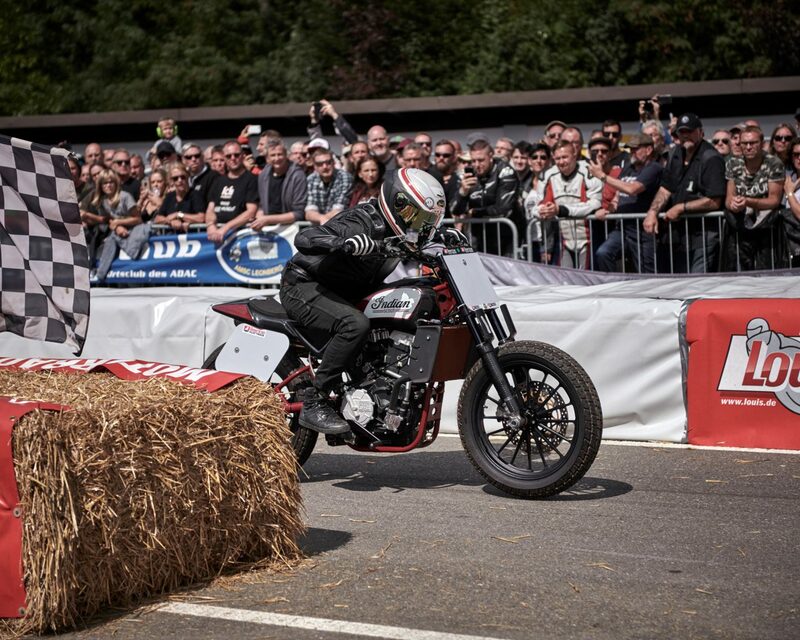 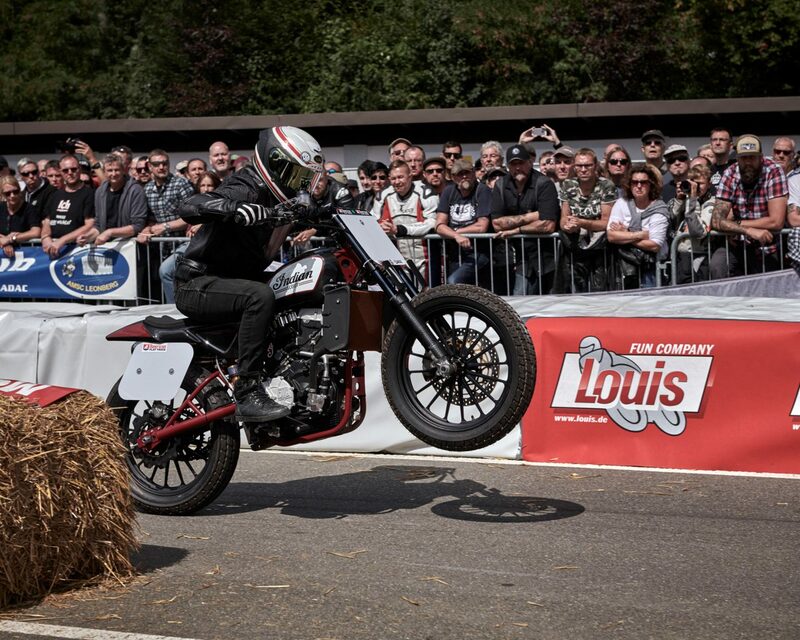 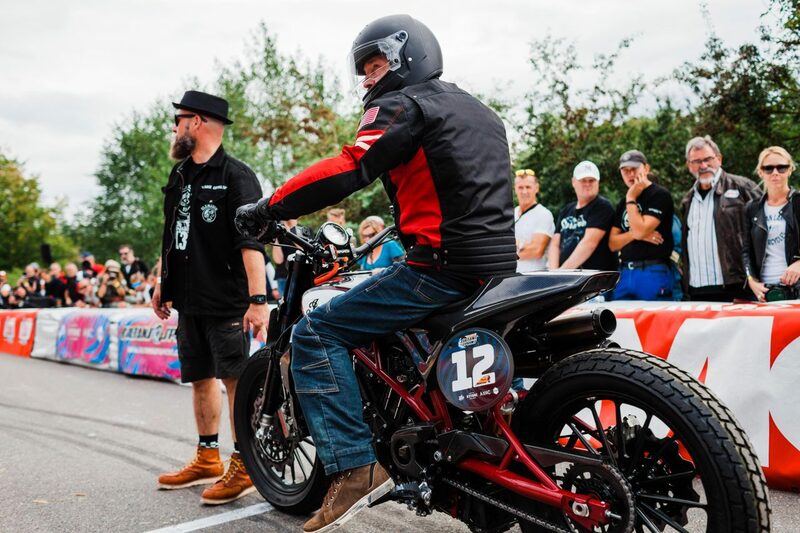 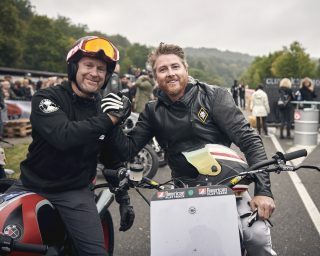 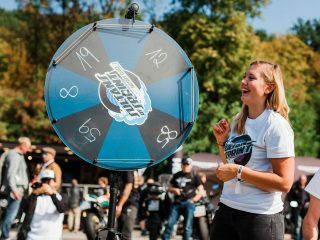 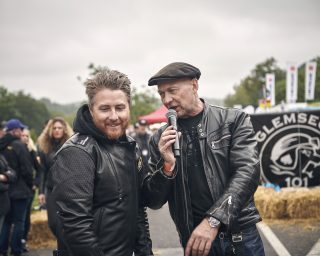 As in 2017, Indian Motorcycle supported the 13th edition of the Glemseck 101 event as the main sponsor, contributing hugely to one of Europe’s largest bike festivals. 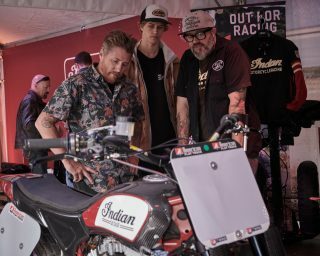 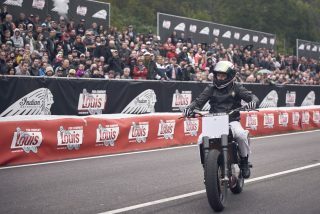 America’s first motorcycle manufacturer welcomed fans to its large Indian Motorcycle exhibition stand close to the former Solitude race circuit near Leonberg, not far from Stuttgart, flying its banners along the sprint course. 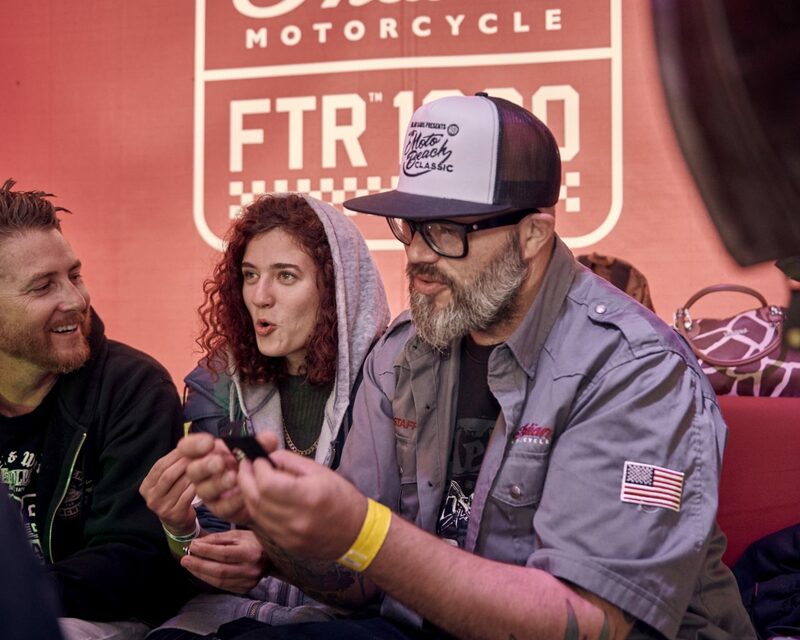 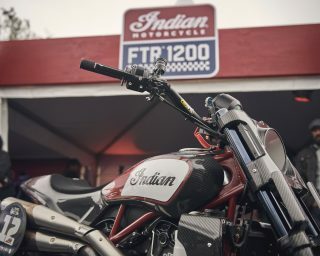 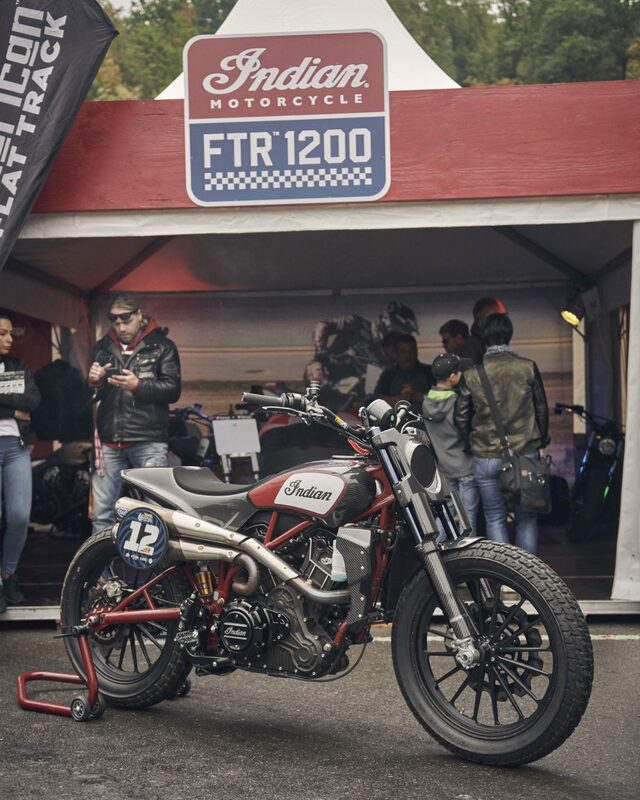 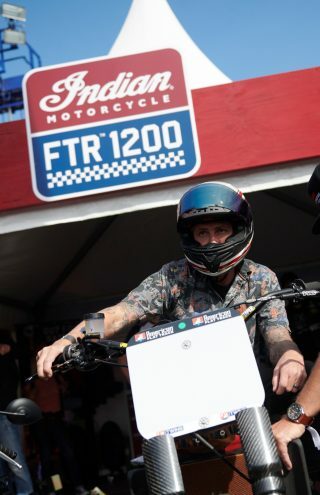 Right from the opening of Glemseck 101 on Saturday morning, visitors started flocking into the Indian Tent to get a first-hand experience of the FTR750 and FTR1200 Custom. 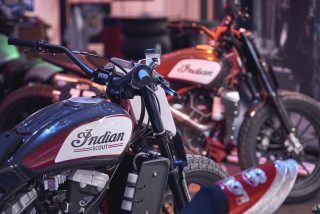 Indian Motorcycle made its comeback to the American Flat Track Series with the FTR750 last year, after over 60 years of abstinence, and immediately dominated the championship. 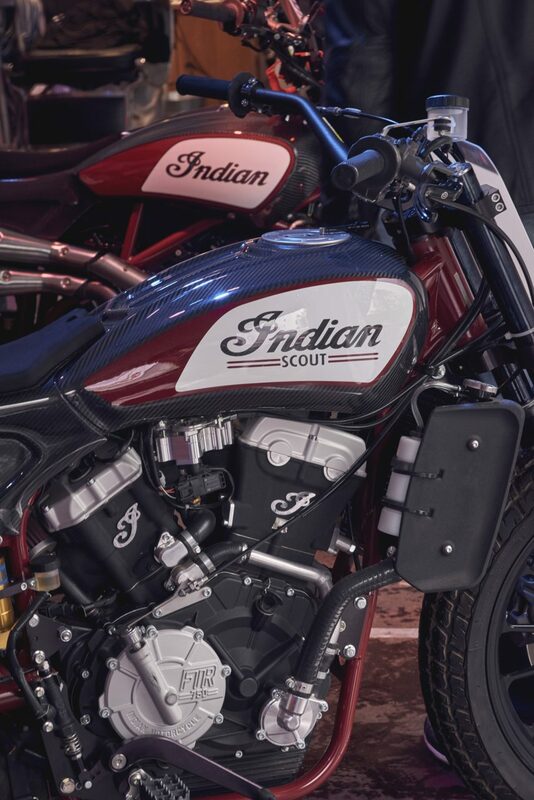 This year, Indian Motorcycle successfully managed to defend its manufacturer’s and rider’s titles. 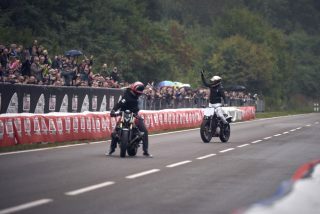 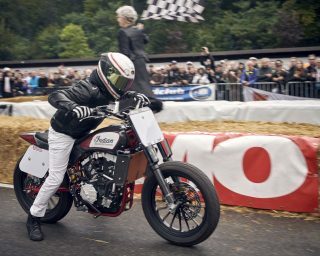 And for the first time, many FTR750s were also raced successfully by privateer riders. Indian Motorcycle brought one of the just 60 FTR750 racing bikes to Germany especially for Glemseck 101 – along with a special star of the scene. 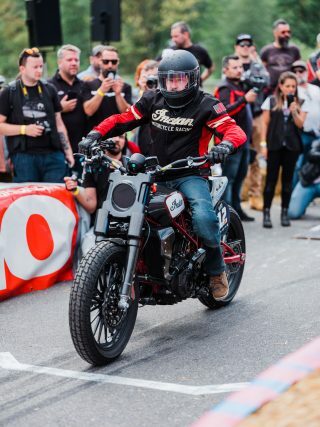 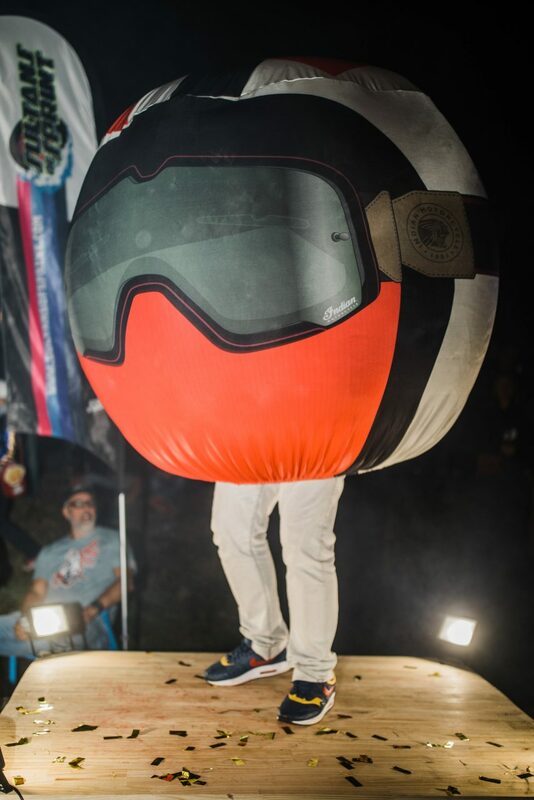 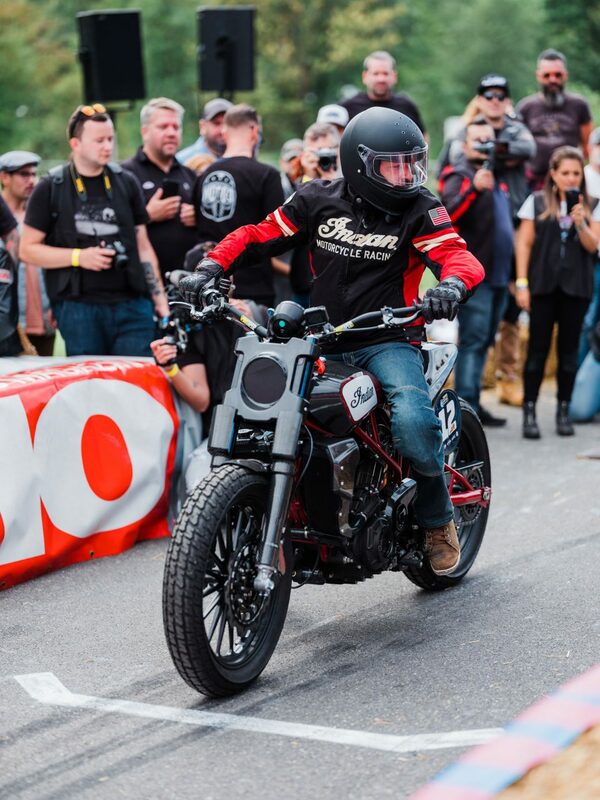 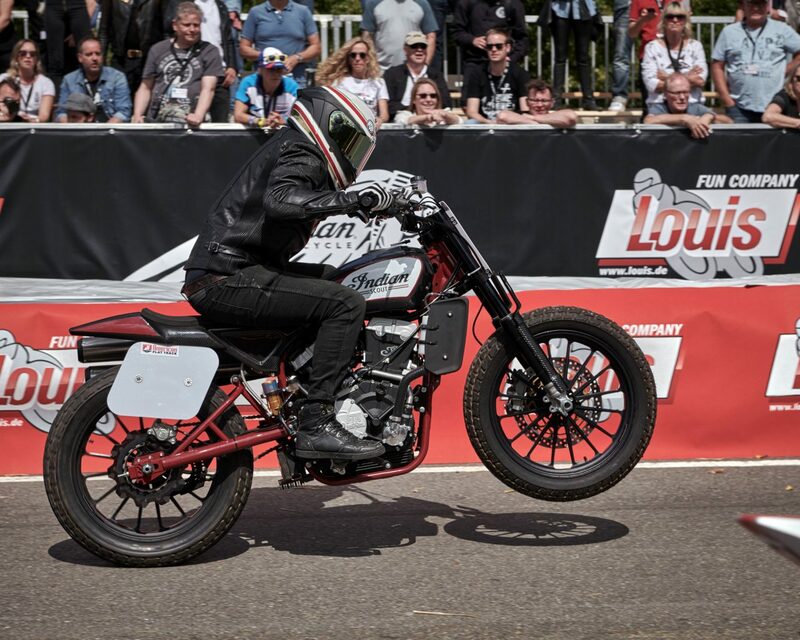 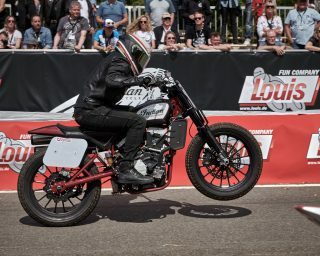 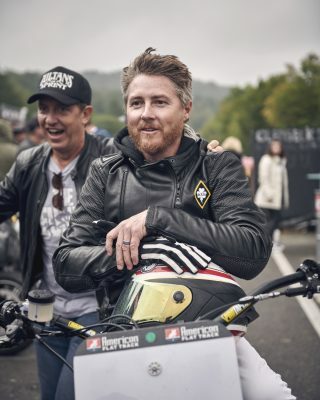 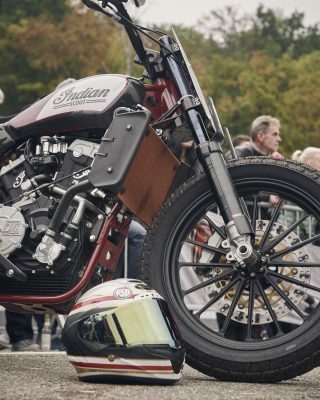 Designer and racer Roland Sands, who has regularly caused a stir with his various custom builds of the Indian Scout, started in the “Sprint International” open class. 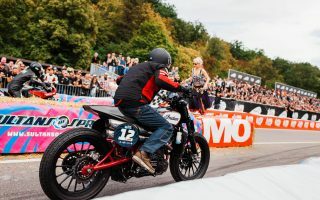 On the 1/8-mile dragstrip, the popular star offered fans a spectacular show on the purpose-built flat track racer despite having to concede the top positions to the riders of pure-bred sprint conversions. In the afternoon, Roland Sands was joined by Ola Stenegärd in the Indian Motorcycle tent on dealers‘ row to sign autographs. 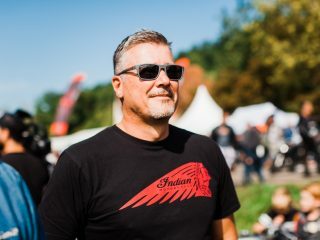 As one of the leading minds in motorcycle design around the world for decades, Stenegärd joined Indian Motorcycle in March 2018 as Director of Product Design to leave a lasting mark on the brand’s future models. The FTR1200 Custom also created a sensation at Glemseck 101 in the “Sultans of Sprint” race in the newly established “Factory Class.” Indian Motorcycle first presented this concept model to the public at the EICMA motorcycle exhibition in Milan last year and gave us a glimpse of what a potential future series model by the brand may look like. 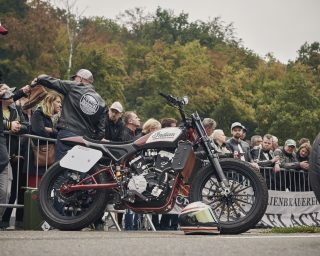 In 2018, the manufacturer took its bike on a world tour and collected feedback from fans. 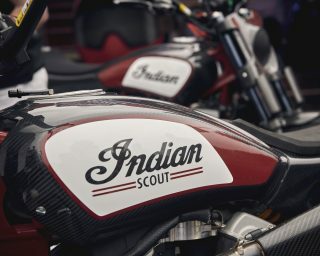 The feedback was so overwhelmingly positive that, in June, Indian Motorcycle announced it would be building a production motorcycle inspired by it. 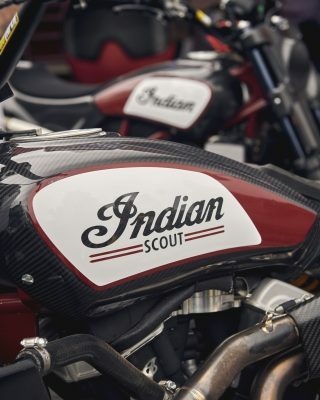 More images available to download at www.indianmotorcycle.media. 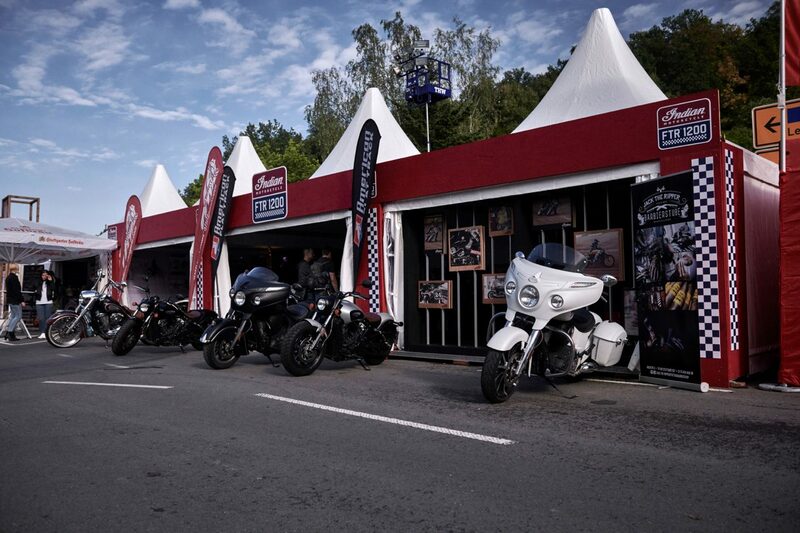 Register for access or sign in with your existing account.